Lewis Rice has represented St. Louis-based technology startup Pixel Press Technology LLC in intellectual property matters since its inception. Pixel Press specializes in educational toys and games, notably the Bloxels® game board and tablet computer application. 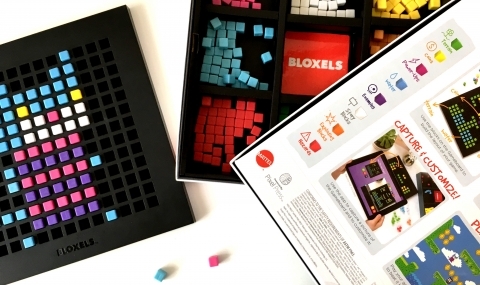 Bloxels allows children to build their own video games by placing colored blocks on a 13x13-grid board and then using the tablet camera to take a picture of the board. The Bloxels software then converts the picture into a playable video game. Overcoming initial resistance from the U. S. Patent Office, Lewis Rice startup attorneys Ben Siders and Kirk Damman distinguished the Pixel Press system from prior-art optical character recognition systems and video game editors, thereby obtaining for Pixel Press a patent on its system. Bloxels received favorable press coverage at Toy Fair 2016, winning praise from USA Today, Yahoo! Tech, and Scientific American, among others. When global toy-and-game distributors expressed interest, Pixel Press turned to Lewis Rice to negotiate a license and royalty agreement for its patented technology. Lewis Rice attorney Al Ludwig, leveraging the technical expertise and creativity of Lewis Rice's Entrepreneurship and Startup Practice Group, negotiated with a Fortune 500 toy and game company an agreement that protected Pixel Press and met the business needs of both parties. This first-of-its-kind agreement will put Bloxels on store shelves across the globe and position Pixel Press to develop the next generation of its innovative technology. For recent press on this agreement, click under "Resources" below.